Yesterday, I wrote about building an email marketing list and how important it is to make sure you are creating a database of people who want to receive your updates and are most likely to act. It can take time to develop this kind of list and get the responses you want, but there are some email marketing tips you can apply immediately, whether you have a list of 50 or 5,000. If youâ€™re sending non-newsletter email blasts, stick to one primary message for each email sent out. The more information you pack into an email, the higher the chance the recipient’s eyes will glaze over and they’ll reach for delete. Keep it to one focus point and put it right in the subject and first lines of the message to make it easier for those just skimming to absorb your message. Email newsletters are expected to provide bits and pieces of several messages, so this tip doesn’t really apply to newsletters. But you should still keep your newsletter blurbs short and to the point, making the information easy to grasp. Use the recipient’s name in your message whenever possible. Something as simple as customizing the email in this way can make the recipient more likely to read through and act on your message. 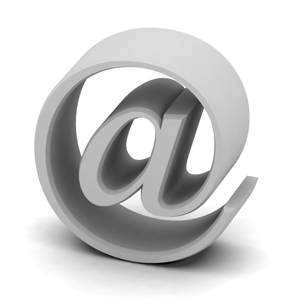 Each email you send should spell out exactly what you want the recipient to do. Make links obvious and call attention to any special directions you are providing. And it’s okay to be repetitive when it comes to the call to action â€“ include it toward the top of the message and mention it again at the end. Instead of sending out a generic email, take time to customize your template to reflect the colors, fonts and other branding elements of your business. Using the same email template for your messages will help the recipient recognize your company and generate feelings of trust. You’ll also want to provide a plain text version that contains the same message but is stripped of all special formatting for recipients using email clients that cannot view messages in HTML. And donâ€™t forget to test out your final template in multiple email clients to make sure it looks how you want it to across the board. Most email marketing services provide campaign statistics so you can monitor the number of opens, clicks, bounces and unsubscribes. As you get started with email marketing, try a few different formats and link placements and then compare the stats to gauge your success. And donâ€™t be so quick to unsubscribe bounced addresses. An email can bounce for any number of reasons, and it’s best to wait to see if the address bounces more than once before scrubbing it from your list. What email marketing tips have you learned from your experience that you would add to this list?